In this post, I'm going tell you about 5 Spanish books for beginners that will help you to improve your Spanish quickly… and enjoy doing it! Are you feeling a bit bored by your journey to learn Spanish? Can't bear that thought of another dull textbook dialogue? Do you wish you could fast-forward the learning process so you can get to the fun stuff? Then maybe some extensive reading is the solution. Today's post is all about the best Spanish books for beginners and why reading should be a valuable part of your learning plan. It’s no secret that reading is beneficial for your language skills, whether you are actively learning a language or just reading for fun. 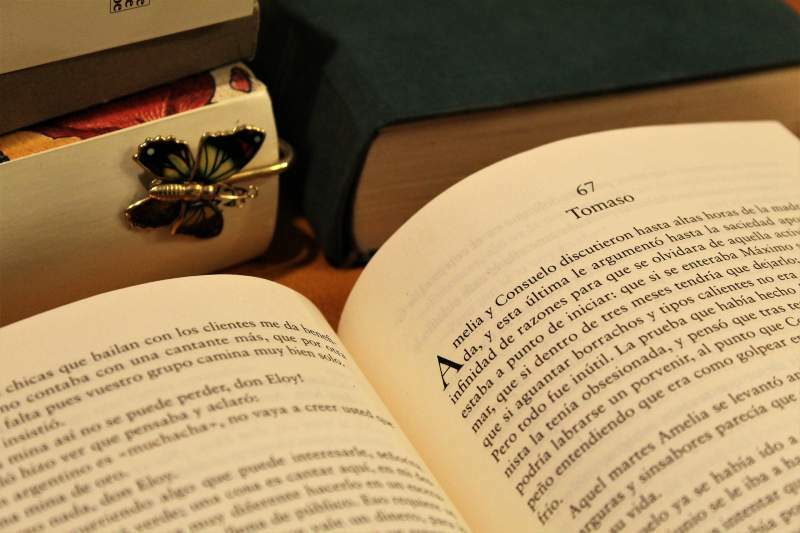 In fact, even if you’re not a fan of reading in your own language, you should still consider reading a book in Spanish to help you improve your language skills. How exactly is reading better than watching a video or having a conversation, you ask? Reading exposes you to loads of new vocabulary you would otherwise not encounter because the written language is different from the spoken language. The language you read will be different to the language you hear. Your brain can make a connection between the meaning of the word and its written form. This visual aid means new words are likely to be more memorable. These words appear in context, meaning that you already have a frame of reference to help you understand them. It also makes it easy to remember how to use them when you want to speak or write. 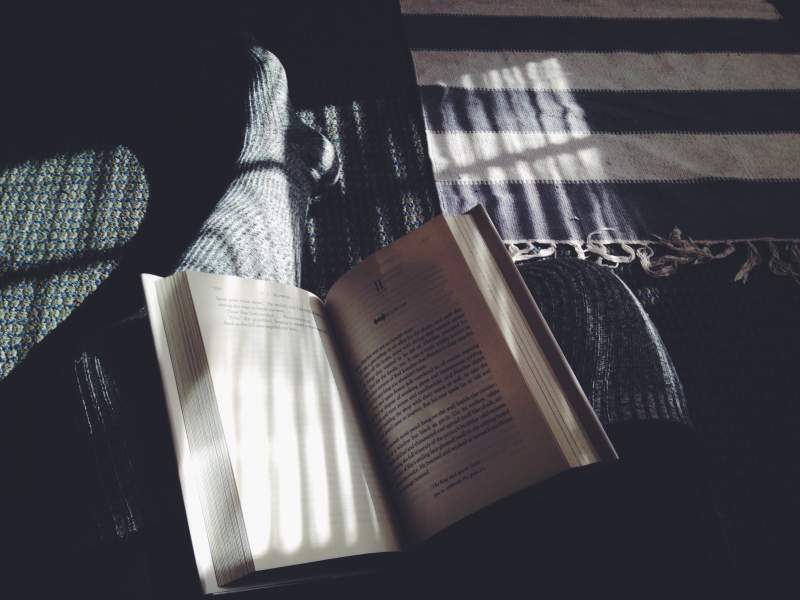 Reading offers a bit of quiet time for your brain. Listening and speaking in Spanish, on the other hand requires a fair bit of concentration. This is because it happens in real-time and you need to keep up in order to engage with the content. Reading, on the other hand, can be done at your own pace. You can go back to a sentence, re-read it and look up vocabulary until you understand it completely. The key to reading is to find a book that is suitable for you. If you don’t choose an appropriate book there’s no way you’ll log off Facebook and sit down to read for a few quiet hours. Have you struggled to find real, interesting Spanish books that are easy enough as a beginner? Reading a Spanish book is a doable challenge for beginners – if you choose the right material. It provides welcome relief from grammar study, flashcards, and other more formal methods. Best of all, it gives you a window into Spanish culture that will be a new source of motivation for you to keep learning. But it's only going to be useful if you can find a book interests you and is appropriate to your level. First things first, choose a book that you’re going to find interesting. This may sound obvious but years of being force-fed To Kill a Mockingbird or An Inspector Calls at school means that we may find reading more of a chore than a pleasure. And if that’s the case, you’ll never get through a book in Spanish! Make sure you are genuinely interested in the book you are going to read. If that means that you’d rather read Harry Potter y la Piedra Filosofal than Don Quixote, that’s absolutely fine – whatever’s going to get you to turn the page. You are doomed to fail if you are bored before you get to page two, so make sure to choose something you'll enjoy! You won’t get very far if you feel overwhelmed by a book that’s too long. Shorter books don’t necessarily mean children’s books. There are a range of Spanish graded readers which make classic and contemporary novels accessible to any level of reader. 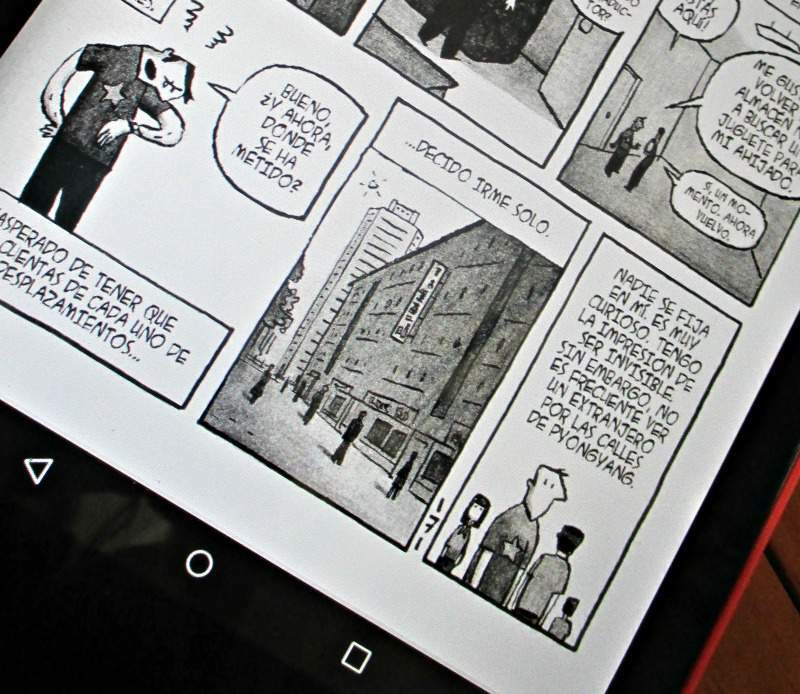 You can even read comics or graphic novels in Spanish if that's what you prefer. Don’t Overestimate Or Underestimate Your Level! The best thing to do is try to read a page or two before you buy the book. If you can understand everything, it’s too easy. If you can’t understand anything, it’s too hard. Aim to understand about 80% of what you read, so you get the gist of what’s going even if there are still some words and phrases you need to look up. The best place to find Spanish books online, no matter your level is Amazon. The reason is simple… the number of options you have to choose from! From the drop-down menu beside the search bar, select ‘books'. This will take you to the ‘books' homepage. On the left-hand side, you'll see various filters to help you refine your searches. Scroll down until you see ‘language' and then check the tick-box for Spanish. Voilà, you'll see only he books available in Spanish! Continue to search using the categorie of type of book filters (i.e. paperback vs kindle edition) until you find something you like! Remember, when you find a book you like there may be a preview available. As a beginner it's a good idea to read the first few pages of this preview to get an idea of whether or not the book you've chosen is right for your current level of Spanish! Ok, so now that you know why reading is beneficial, what kind of books you should choose and where to find Spanish language books online! Let me share some of my favourite Spanish books for beginners with you. 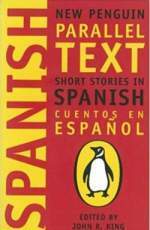 Short stories are the perfect way to reading Spanish as a beginner. That's why I've written a book of them for you! 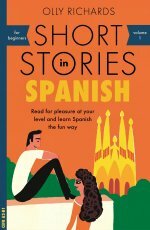 These short stories are enjoyable and interesting while at the same time providing a range of vocabulary and grammar which should challenge your Spanish. With gripping plots, plus a glossary and a quiz after every story, these are books are perfect if you want to spend a couple hours learning Spanish in a fun, relaxed way. There are two volumes, so you'll have plenty of entertaining reading material! And once you finish the beginner stories, I have also an intermediate collection you can move on to. You can purchase the books on Amazon. This is another book of short stories, this time part of a series by Penguin. 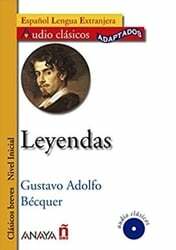 This book includes eight short stories by famous Spanish-language writers such as Fuentes, Molinas, Marquez and Cortázar. Normally, stories by such authors would be much too difficult for beginners. But this book is laid out so that the Spanish text is on the left-hand page and the English translation is on the right-hand page, meaning you can read in them parallel. This makes it possible to work your way through these famous stories as a beginner as long as you have a little patience! It's also a handy way to save yourself time looking up words in a dictionary. (If you like the idea of short stories and are up for even more of a challenge, try El Hacedor by Jorge Luis Borges. These stories tackle quite complex topics, but each is under 1,000 words long, making them a bit easier to handle than other similar texts). You're probably already familiar with this particular little book! The Little Prince wasn't originally written in Spanish, of course. Nonetheless, the translation is a good Spanish book for beginners. This is because it's relatively simple contents and you're probably already familiar with the story! Of course, just because it's a children's book doesn't mean the language is always easy. 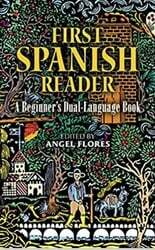 As a beginner, this book will challenge you and it's not something you'll be able to read on day 1 of your Spanish learning journey. But if you've been studying for a few months and build up you base vocabulary, this wonderful book could be an excellent choice for you! Ok, this is not actually one single Spanish book, but a collection of them! These easy Spanish readers are a great way to start with something at the right level for you. You can find this books on Amazon or on the European Bookshop website. It presents you with simple, easy-to-read adaptations of classic Spanish stories and other material with English translations on the facing pages. The materials included is by noted Spanish writers from around the world and attempts to give you an understanding of Spanish-speaking people and culture around the world while you read. The final book in this series is the only one that's designed specifically for Spanish learners who want to start learning with stories on Day 1. All of the other books above are suitable for beginner learners but they do require you to already know some Spanish. And unless you've been learning the language for at least a few weeks, you probably won't be able for them right away. El Hombre Del Sombrero, on the other hand, is written so that you can start it now, even if you've never learnt a word of Spanish before. It's the book that forms the basis for my Spanish beginner course that teaches you through the power of story. You can find out more information about it here. If you're a complete beginner, this story allows you to start reading and understanding Spanish from Day 1. Or if you've been learning Spanish for a little while, it's a great story to help you brush up on all of the Spanish you need to reach the intermediate level… whilst enjoying a cracking story at the same time! Take your pick and find yourself a comfy place where you can relax and indulge in some Spanish reading. Take your time and try to worry about what you don't understand. The more reading you do, the better your Spanish will become! Make sure this is an enjoyable aspect of your, Spanish learning so that you’ll want to come back and do it again. 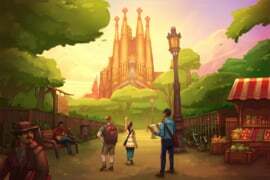 Do you like the idea of learning Spanish with stories? 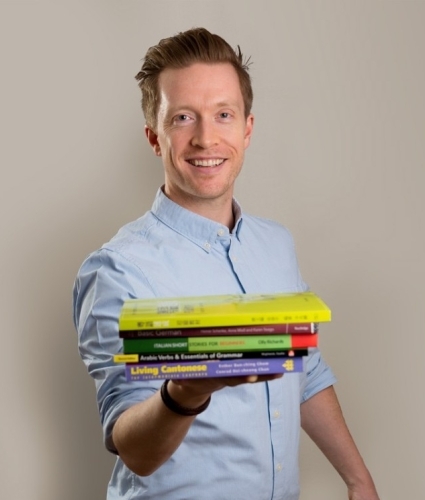 Click here for information about Spanish Uncovered, my beginner programme that teaches you through the power of reading and story. 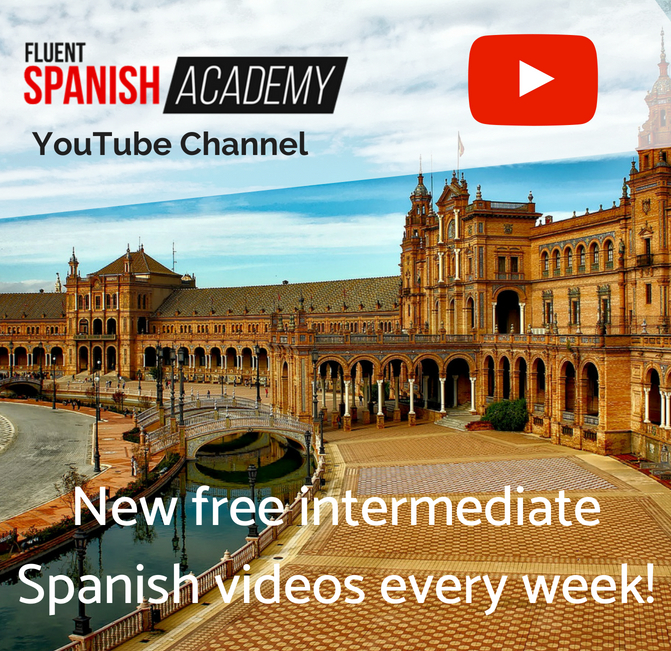 Or, if you're already at an intermediate level, discover the Fluent Spanish Academy, my extensive library of stories, real-life conversations and lessons designed especially for intermediate Spanish learners.